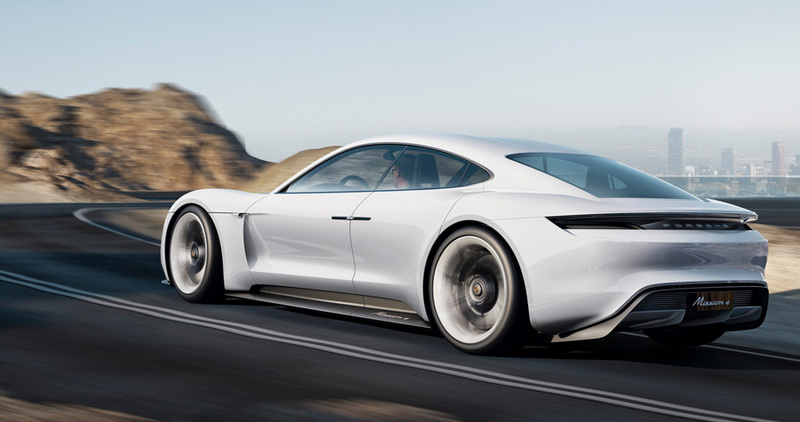 The new Porsche Mission E concept car is a beautiful vehicle that combines the emotional design of a Porsche with excellent performance, innovative technology, and practicality. Let’s start with the design. Distinctive air inlets and outlets – on the front, sides and at the rear – typify the body’s full flow-through design that enhances efficiency and performance. The sculpting of the front end shows a classic Porsche sweepback bringing to mind the 918 Spyder and Porsche race cars. A new type of matrix LED headlights in the car’s typical four-point light design captures the viewer’s gaze. Integrated as an element hovering in the airflow of the air inlet, they lend a futuristic character to the front end. 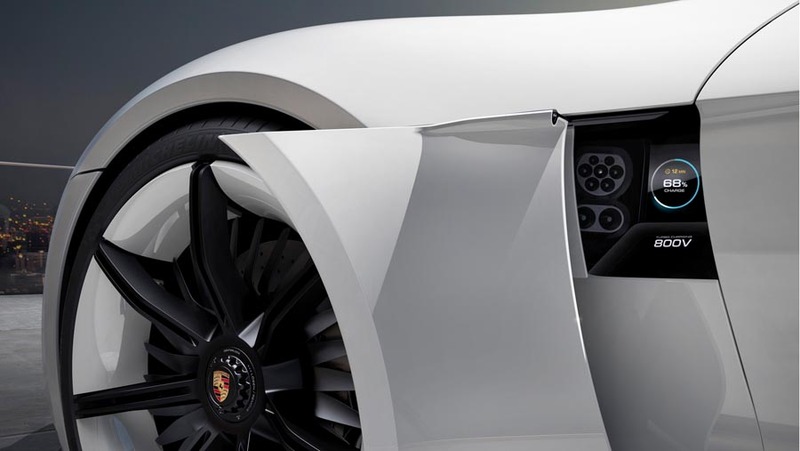 Distinctive front wings and an extremely low-cut hood reference 911 design. The body as a whole is made up of a functional mix of aluminum, steel and carbon fibre reinforced polymer. The wheels are made of carbon: the Mission E has wide tires mounted on 21-inch wheels in front and 22-inch wheels at the rear. 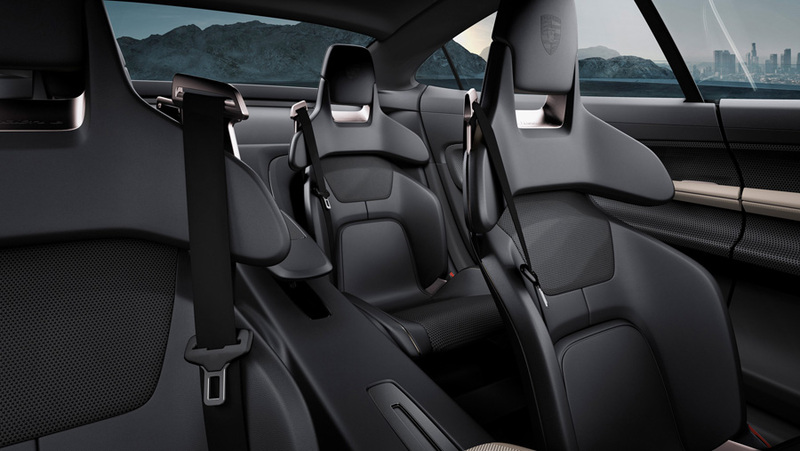 The all-electric drive concept made it possible to fully reinterpret the interior. The lack of a transmission tunnel, for instance, opens up space and gives a lighter and more airy atmosphere to the entire interior. Race bucket seats served as inspiration for the four single seats. Between the front seats, the center console – elegantly curved like a bridge with open space beneath it – extends up to the dashboard. The instrument cluster shows five round instruments virtually in OLED technology, i.e. by organic light-emitting diodes. The round instruments are organized according to the driver-relevant themes of Connected Car, Performance, Drive, Energy and Sport Chrono. The controls are just as innovative. An eye-tracking system detects, via camera, which instrument the driver is viewing. The driver can then activate the menu of the instrument in focus by pushing a button on the steering wheel and navigate in it – which also involves an interplay of eye-tracking and manual activation. But that is not all: the display follows the seat position and body attitude of the driver in what is known as a parallax effect. If the driver sits lower, higher or leans to one side, the 3D display of the round instruments reacts and moves with the driver. This eliminates situations in which the steering wheel blocks the driver’s view of certain key information, for instance. All relevant information such as vehicle speed is always within the driver’s line of sight. 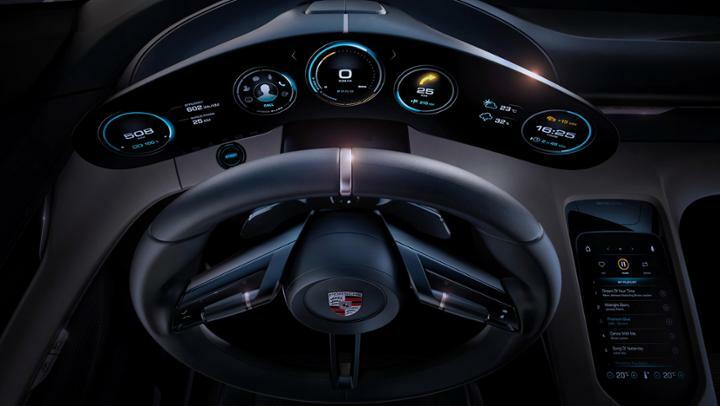 The dashboard has a holographic display that extends far into the passenger’s side. It shows individually selectable apps, which are stacked in virtual space and arranged by priority with a three-dimensional effect. The driver – or passenger – can use these apps to touch-free control primary functions such as media, navigation, climate control, contacts and vehicle. The desired symbol is activated by gestures that are detected by sensors. A grasping gesture means select, while pulling means control. Moreover, driver or passenger can use a touch display on the center console to control secondary functions such as detailed information menus. 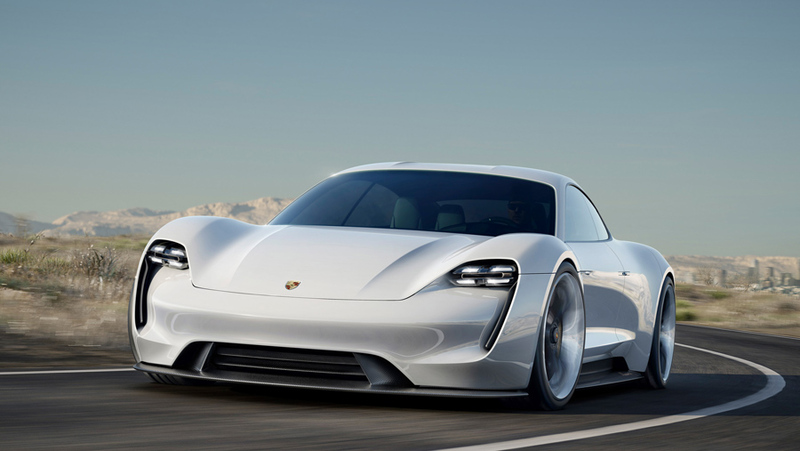 When you drive this car, you instantly know that it’s lineage is from Porsche race cars. Two permanent magnet synchronous motors (PMSM) accelerate the Mission E and produce over 600 hp to propel the Mission E from 0 to 60 mph in less than 3.5 seconds and over 100 mph in under twelve seconds. In addition to being fast, the Mission E is also efficient. With its innovative 800-volt battery technology, the Mission E can travel over 300 miles on a single battery charge. The technology also allows you to reach 80% capacity after 15 minutes of charging.